Kabuliyan.com: The Government of National Unity on Monday announced the nominees of cabinet ministers. The Government of National Unity on Monday announced the nominees of cabinet ministers. The list including 25 ministers and governor of Central Bank along with Director General of the Afghan Intelligence – National Directorate of Security (NDS). The nominees were announced by Abdul Salam Rahimi, the head of the office of administrative affairs in ARG Presidential Palace. The government of National Unity was formed nearly three and half months ago. 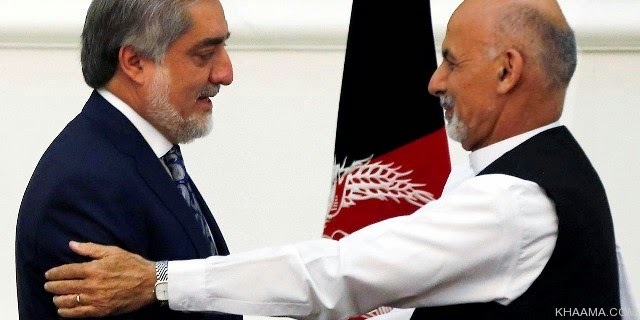 President Ghani and chief executive officer Dr. Abdullah Abdullah were sworn in on Monday 29th September 2014 after the two leaders reached to an agreement following months of controversies due to the election which was marred by massive fraud. President Ghani had promised to announce the cabinet within 45 days after taking the office as the new president of the country. However, the announcement was delayed on numerous occassions amid reports suggesting that the two leaders are at odds on nominees for respective ministries.